Hey, guys! 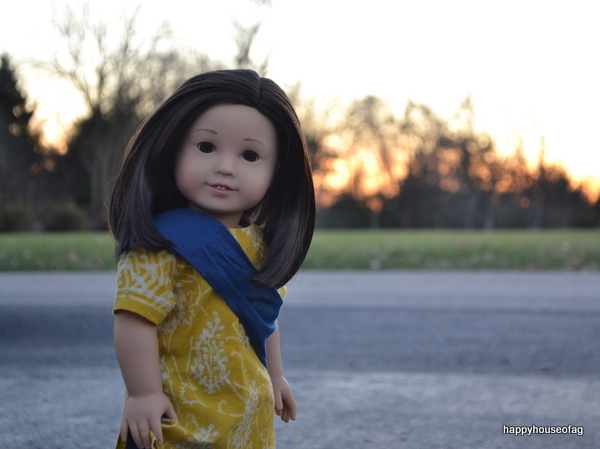 We’ve got a guest post today from the lovely Celeste about her doll clothes business. I’ve looked at her Etsy shop, and I’m amazed at how gorgeous her products are. 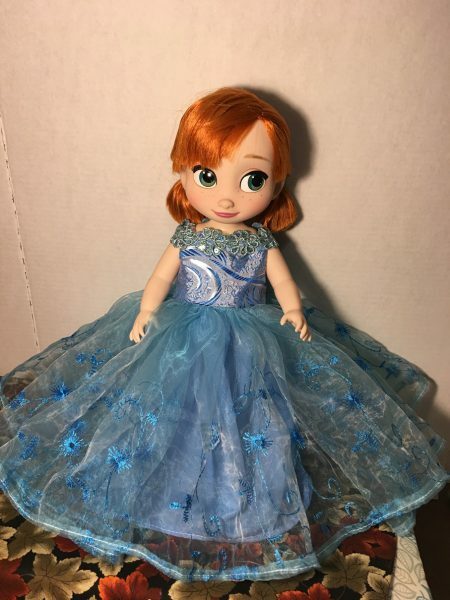 My personal favorites are the Merida gown, pink Christmas dress, and the mermaid dress. 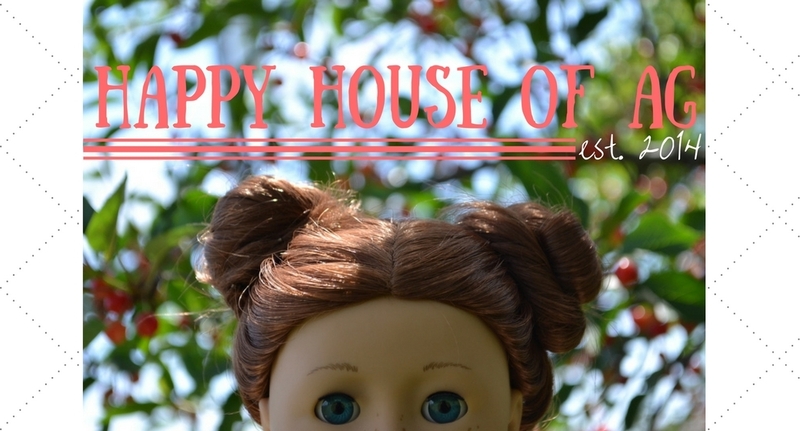 Enjoy the post and make sure to check out Celeste’s blog and shops! 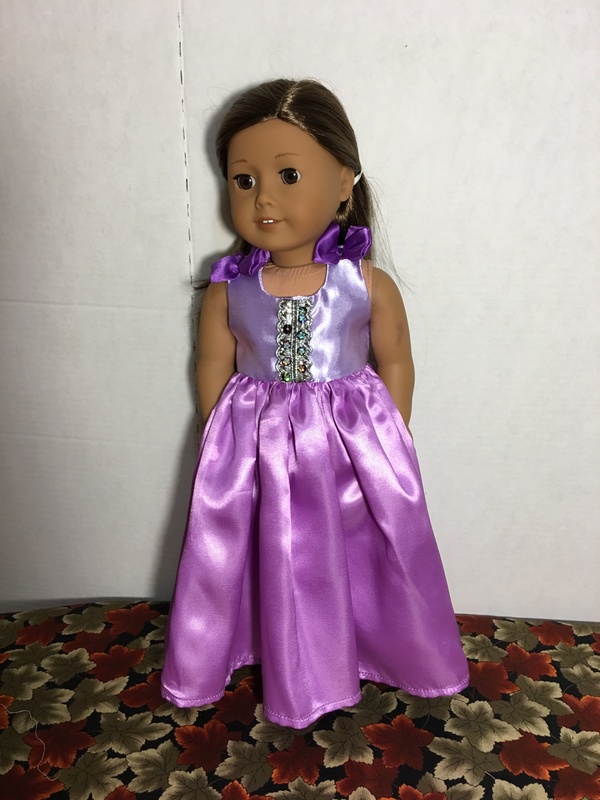 Hi everyone, this is Celeste of Rolling Rock Dolls, I make doll clothes and accessories for dolls, mostly for the famous 18″ American Girl. You can find me on Etsy, Ebay and even Amazon. 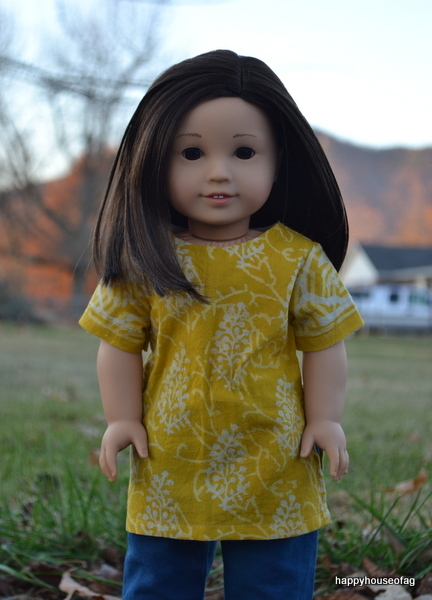 My doll business has been accidental, I just wanted to learn how to sew and then found out I can make an income out of my creativity making doll clothes. 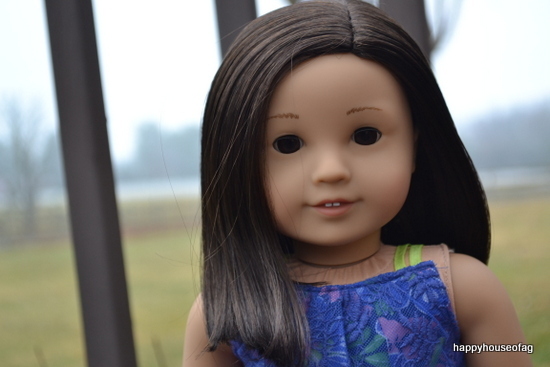 I think I am now addicted to collecting dolls, not just American Girl but also other brands like Disney Animators and Barbie. I enjoy being able to stay home and sew some beautiful dresses. Most dresses that I make are princess gowns or fairies. 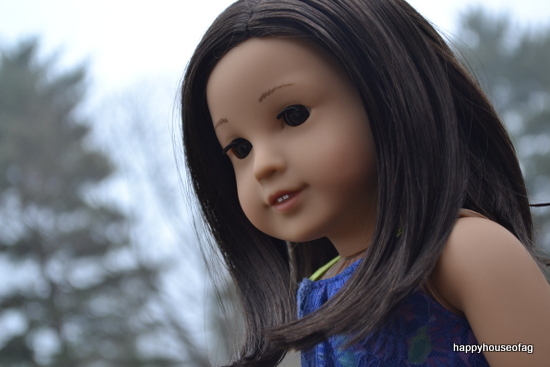 Dolls can be anything their owner wants them to be which is fun. Here are some dresses from my online shops. 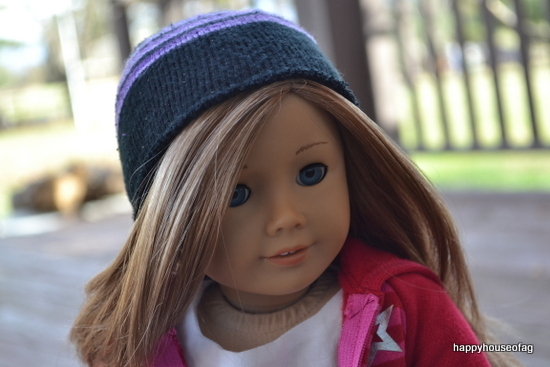 Thank you very much Loren for allowing me to guest post on your doll blog, I enjoy the pictures you post here. Hey, guys. I hope you’re having a good day. Born Global sent me an outfit to review! 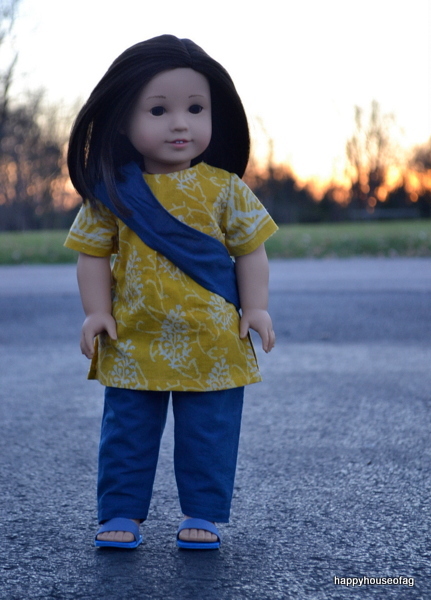 It’s the Yellow Block Print Tunic/Indigo Pant outfit ($25) from their Parichay Collection. Born Global is such a cool company. 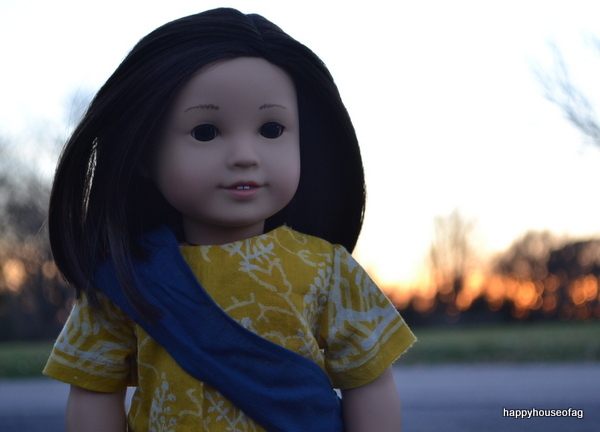 Their goal is to create products that inspire global learning. 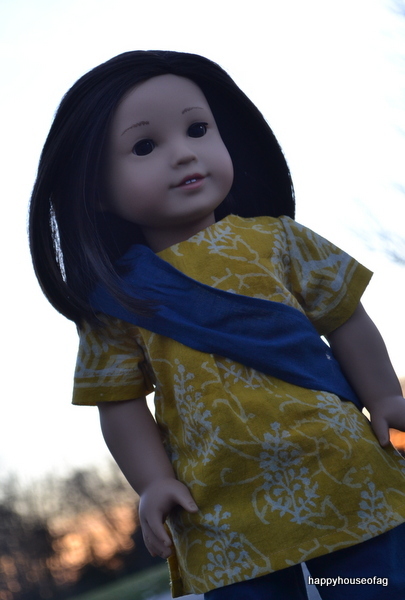 Currently, they only have one clothing line: the Parichay Collection, inspired by Indian fashion. 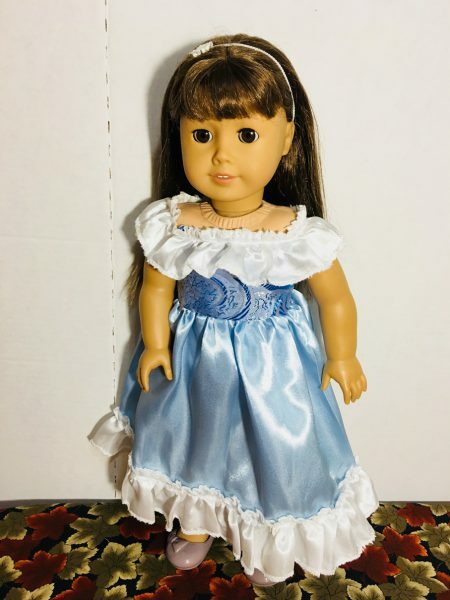 The limited edition outfits are made for 18″ dolls, but they plan on including clothes for 14″ dolls (like Hearts4Hearts or WellieWishers) in later collections. There will be three collections released a year, with new clothing styles available in each one. 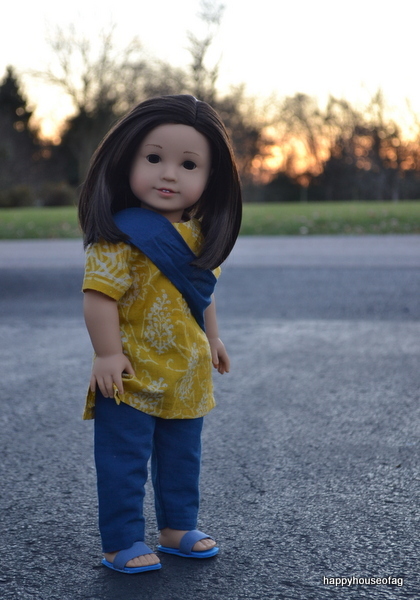 Each outfit includes a tunic, pants, and scarf (the shoes are from my collection). First up, the tunic. It’s made of a light material that almost reaches the knees. 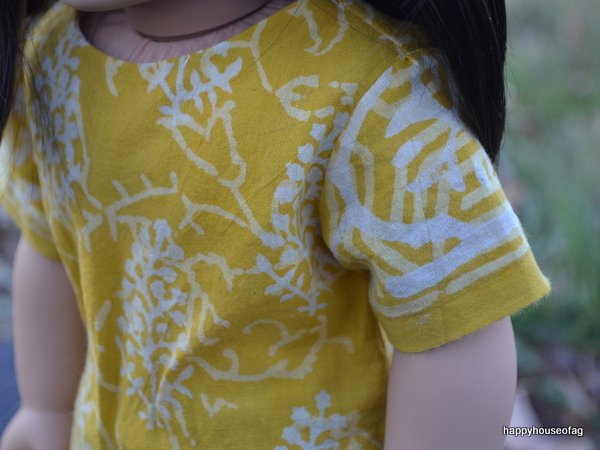 The mustard yellow fabric has a plant-like pattern on it. There are slits in the sides, as well as Born Global’s tag on the left. All the edges are hemmed except for the sleeves, which are selvedge. That means the fabric is woven so it won’t unravel. 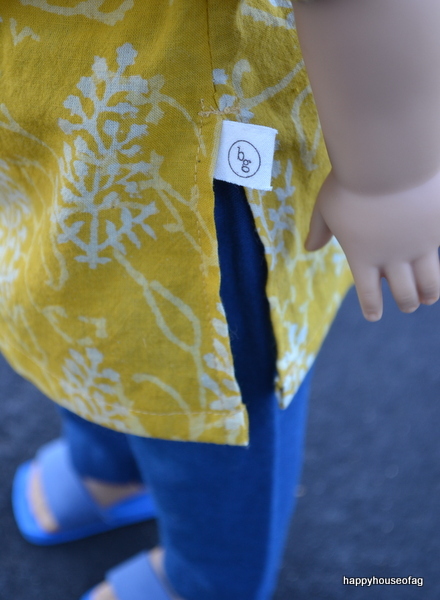 Instead of using velcro fasteners like most doll clothes, it has snaps. 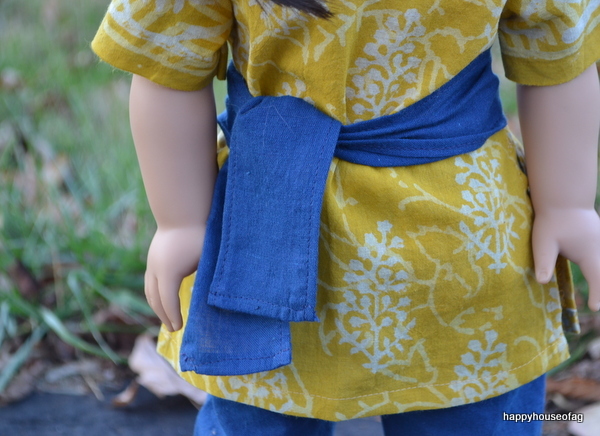 They keep the tunic in place just as well as velcro would, if not better, and they don’t snag on the fabric or doll’s hair, either. 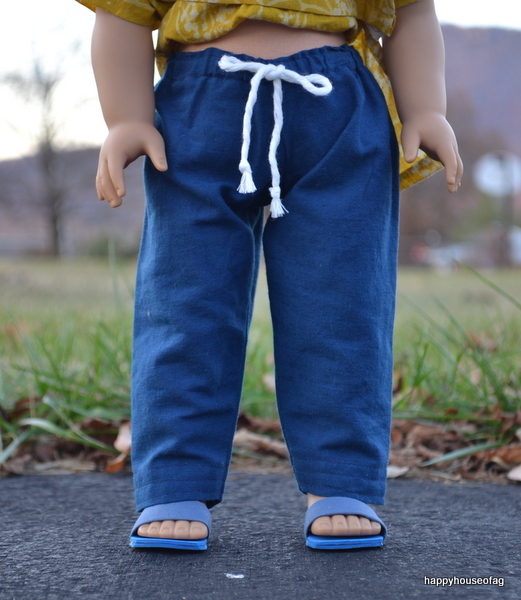 The second part of the outfit is the pants. 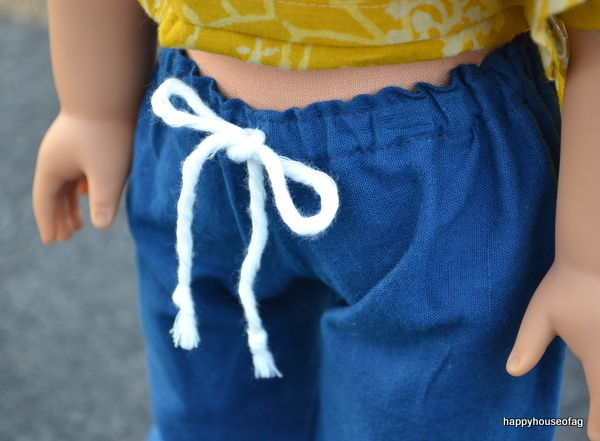 They have a stretchy waistband, and the bow is just for decoration. It’s a cute touch. 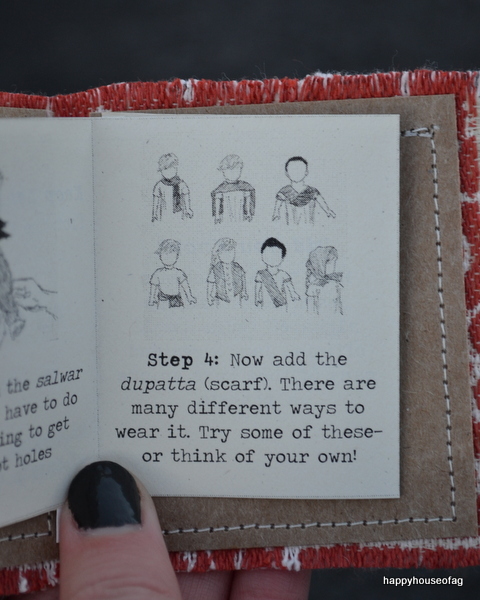 The last piece is the scarf. It’s made of the same fabric as the pants. 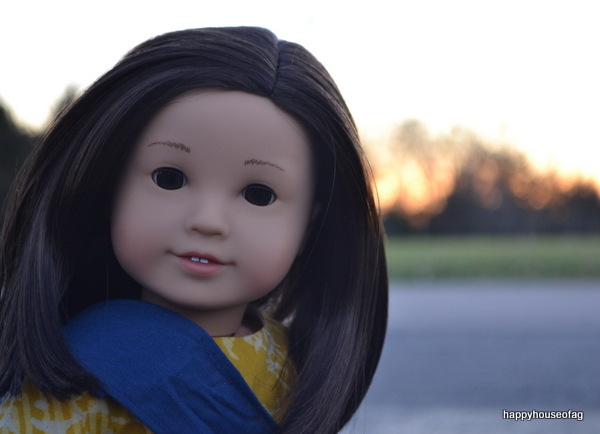 It’s a bit longer than the doll and can be styled in many different ways. 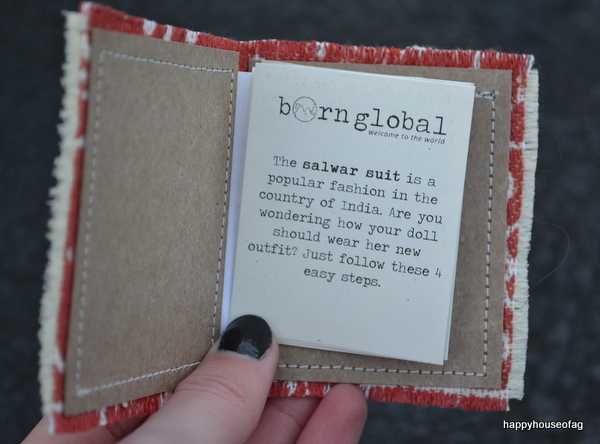 Born Global’s outfits also come with a doll-sized book with a fabric cover. 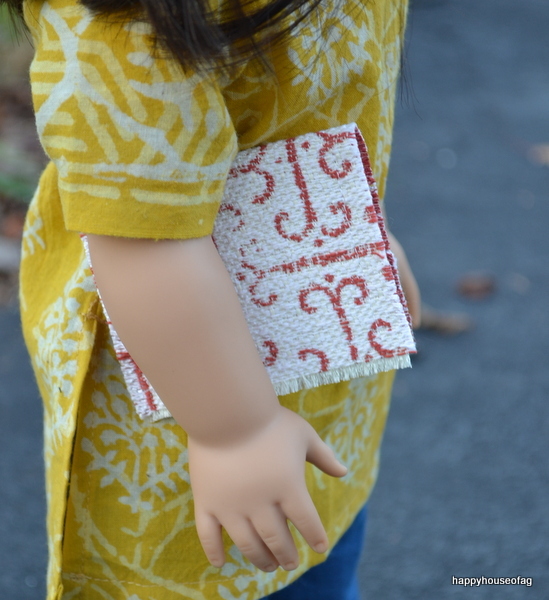 It contains instructions for putting the outfit on a doll, history facts, lessons on Indian languages, and more. 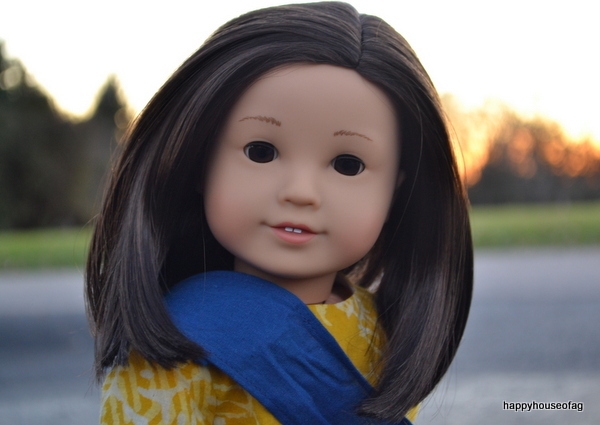 It also includes different ways for your doll to wear the scarf. 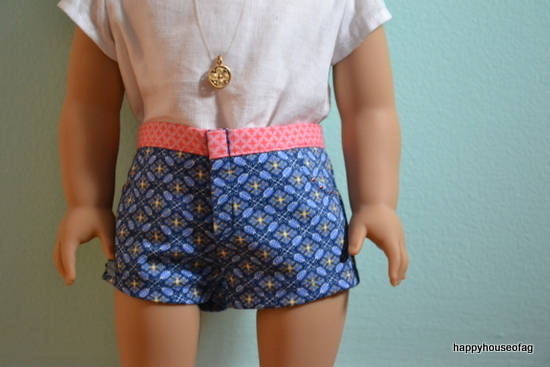 The outfit is adorable and very well made. They bottoms could easily be used as sweatpants, and the tunic as a t-shirt or mini dress. Born Global is a fantastic company with a message as wonderful as their products. The packing is made from recycled materials, they enable artisans to make extra income, and (the best part) 5% of each purchase is donated to the Kids in Need Foundation, which provides free school supplies to students who can’t afford any themselves. And that concludes my review! 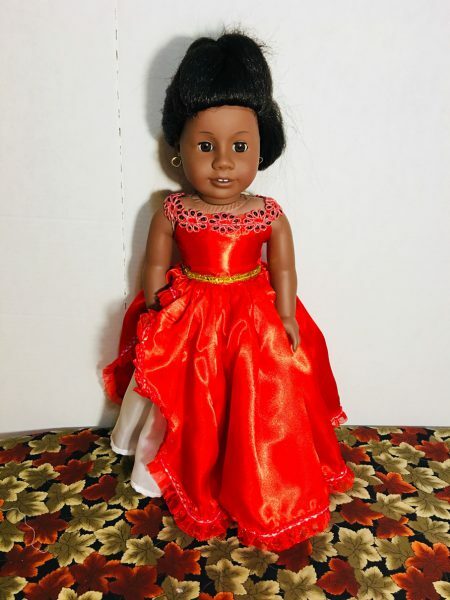 If you want authentic and quality Indian-inspired outfits for your dolls, Born Global is the company for you. Read more about their mission here, or browse their store here. I really was not planning on buying another doll. But as I do not have much self-control in the AG store, a new girl came home with me yesterday. Please welcome Parker (#40) to the HHOAG family. I haven’t quite figured out her personality yet. But I believe she’ll be fourteen, with a love for the paranormal. I’m not entirely sure, though. I almost got #64 instead, but I fell in love with Parker’s short hair. I also bought the Tropical Print Dress from the new mix-and-match set. My dad bought the Blue Sandals for me. Would anyone like a review of her? Maybe a comparison between Parker and Ivy? I got a pink hoodie and jeans. That’s all I got at the D.C. store. I’ll probably do some reviews. Anyway, please welcome Miss Parker. 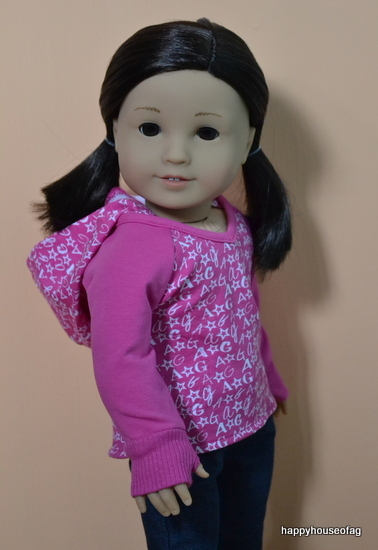 Start by fitting one of the sweater’s sleeves over your doll’s head. Cut off the sleeve, making sure to leave some extra fabric on the end. 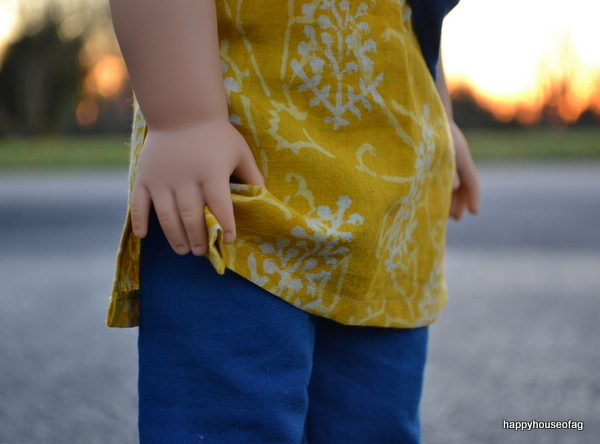 Turn the sleeve inside out and put it back on the doll’s head. 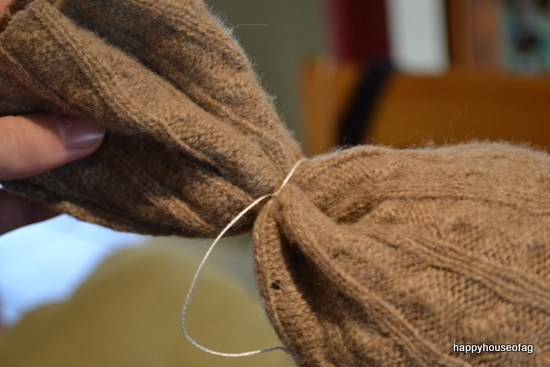 Cut a piece of string and wrap it tightly around the sleeve where you want the end of the hat to be. Tie it off and trim the string. Snip off the excess fabric. 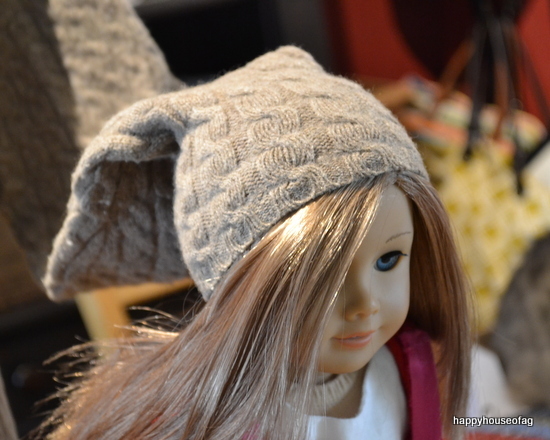 Turn it the right way out and slip it onto your doll’s head. 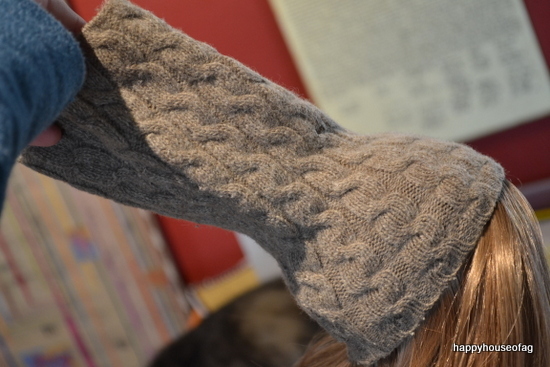 Take a sock and cut just below the heel. 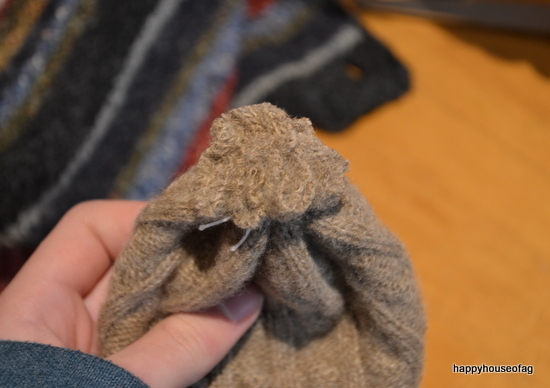 Put the toe end of the sock on your doll. I hope you guys liked it! 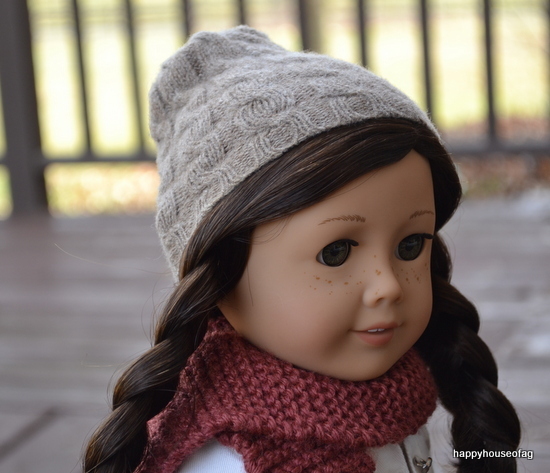 If you make a beanie following these instructions, you can send a picture to me using the email address happyhouseofag@gmail.com. I’d love to see what you guys made. It’s been awhile since I last did Tip-Top or Fashion Flop, yeah? Since last August! Anyway, if you don’t know how this game works, here’s what you need to know: I’ll show you an outfit I cobbled together from different sets. If you like it, comment “tip-top.” If you don’t, just say “fashion flop.” Simple as that! On July 14th, I’ll announce if it’s tip-top or a flop. 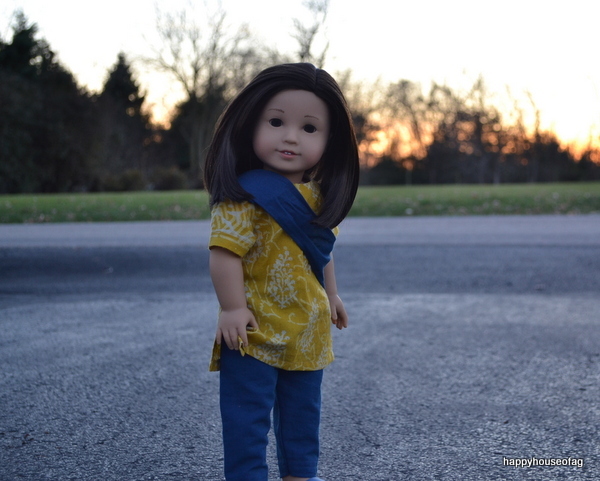 Aqua crop top: Maryellen’s meet outfit. Tank top: made by me. Bracelet: Hearts4Hearts doll Dell’s meet outfit. 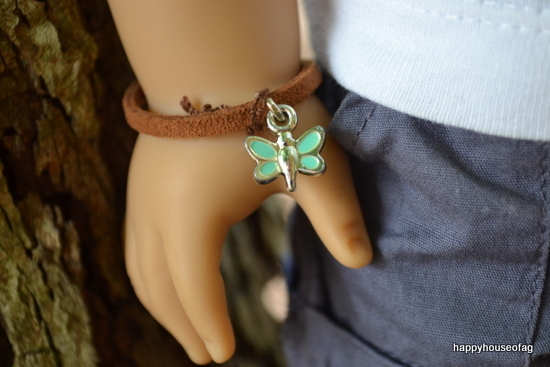 A closer look at her dragonfly bracelet. So, what do you think of her outfit? Comment tip-top or fashion flop! It’s time to see who will win this Who Wore it Best. 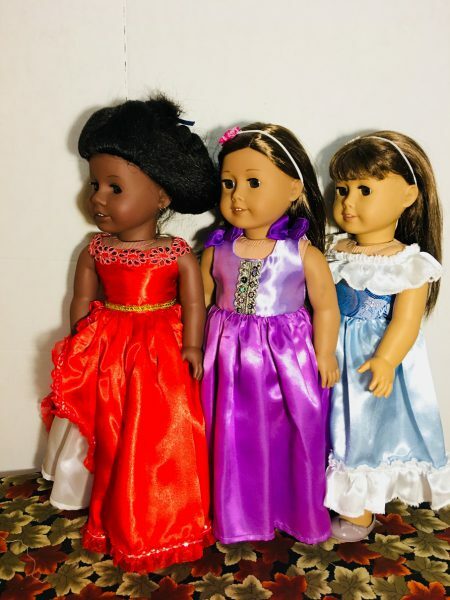 All of my dolls modeled the Truly Me Meet Outfit, and you, fair readers — you were asked to pick the one who stood out from the rest, the one who looked best in the lilac dress. But only doll can win (except if it’s a tie, which this is not). Now, I present to you, the winner . . .
Let me check my tally marks real quick . . .
She won with ten votes! Caroline and Isabelle tied for second with nine votes each; Savannah and Nevaeh in third with five votes; Saige, Ivy, MJ, and Ellie in fourth with four votes; Emily in fifth with two votes; and Tracy and Eve in last place, with zero votes. 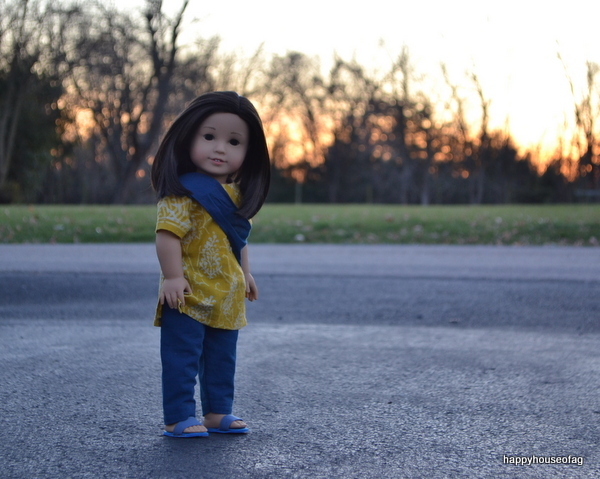 Which American Girl outfit should be featured on Who Wore it Best next? Hey, I'm Loren, the blogger. Click on this picture to learn more about me. the bookworm tag | rainbow bookshelves, TBR lists, & more! All content belongs to Happy House of AG unless otherwise specified. Do not use my pictures or ideas without permission.